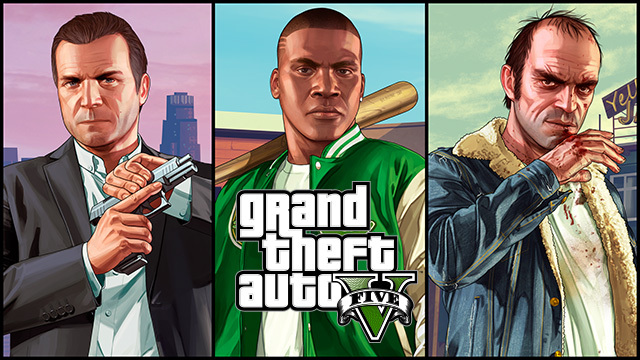 Rockstar Games has once again emerged from their castle full of GTA goodies to officially announce the new release dates for GTA: V Heists and GTA: V for the PC (via digital download); March 10th and April 14th respectively. Maybe it won't get delayed this time...just maybe. Along with the announcement that was posted on the Rockstar Newswire, new screenshots of the oh so coveted "Heists" mode were also released. These screenshots give us a mere glimpse at the activities, missions and possibly weapons, that will be added to the game. Screenshots for the PC version of the game were also posted on the Rockstar Newswire. Let's all be honest for a second. Even though we're upset with Rockstar taking so long to release this feature for GTA: Online, we're still going to play it into the ground when it's released. When we finally get our hands (controllers?) on the new feature, we'll be able to party up with 3 friends (for a total of 4 players) to complete new complex, intense, "multi-part raids and robberies". Sounds exciting, but I do wish it was more than just 4 players. Rockstar also stated that "over the next couple of weeks, we will have more information about the launch of Heists and about other new features that we will release with it." So for now, all we know about the actual features is what we've seen from potential leaks, and from the screenshots included below. As for all you PC Master Race fans out there, your day of reckoning is coming close, and you guys deserve to rejoice in the fact that it's FINALLY here (again)! The PC version of the game will be available as a digital download and of course, as a disc at your nearest retailer. Rockstar seems to be showing some sympathy for the PC gamers that have been waiting for GTA: V PC and are going to be giving each PC player a whopping $200,000 in in-game cash (to be used on GTA: Online). Hope you guys put that to good use, actually expected something more. Let's take a look at these beautiful PC screenshots, shall we? I for one am a bit excited to finally get to play Heists, although I will not be trying out the PC version. From what I've previously seen PC gamers do with GTA: IV graphic modifications, I can only wait to see what wonderful things they'll create. As for you guys in the Se7enSins community, I know a lot of you are quite excited as well. Let's hope for the best experience playing Heists and the PC version in the days to come! Feel free to leave your comments below.